U.S. stocks were little changed on Wednesday as investors found no new catalysts to maintain a bull rally, especially ahead of Friday's employment report and no new major developments arising from the Ukraine/Russia stand-off. The Beige Book, released at 2:00 pm, confirmed what most already knew: harsh winter conditions impacted the economy. The Dow lost 0.22 percent, closing at 16,360.37. The S&P 500 lost 0.01 percent, closing at 1,873.81. The Nasdaq gained 0.14 percent, closing at 4,357.97. Gold lost 0.10 percent, trading at $1,336.60 an ounce. Oil lost 2.13 percent, trading at $101.13 an ounce. Silver lost 0.25 percent, trading at $21.17 an ounce. MBA Mortgage Applications rose 9.4 percent in the week compared to a decline of 8.5 percent in the previous week. February ADP Job Report read +139,000, below the 150,000 consensus and a prior reading of 175,000. US February PMI Services Index rose to 53.3 from 52.7 in January. February ISM Non-Manufacturing Index read 51.6, below expectations of 53.5 and a prior reading of 54.0. EIA Petroleum Inventories Crude rose 1.4 million barrels, gasoline declined 1.6 million barrels and distillates rose 1.4 million barrels. U.S. Secretary of State John Kerry and Russian Foreign Minister Sergei Lavrov are scheduled to meet in Paris in what will mark the first face-to-face meeting of senior ranking government officials of both the United States and Russia. China reaffirmed its prior annual growth target of 7.5 percent for 2014. The world's second largest economy continues to target an inflation rate of 3.5 percent and a fiscal deficit of 2.1 percent of GDP. India has scheduled national elections in which 814 million citizens are registered to vote. The voting process will take place over nine-stages and will begin on April 7 with the results scheduled to be disclosed on May 16. Analysts at Citigroup maintained a Hold rating on Anadarko Petroleum (NYSE: APC) with a price target raised to $90 from a previous $86. 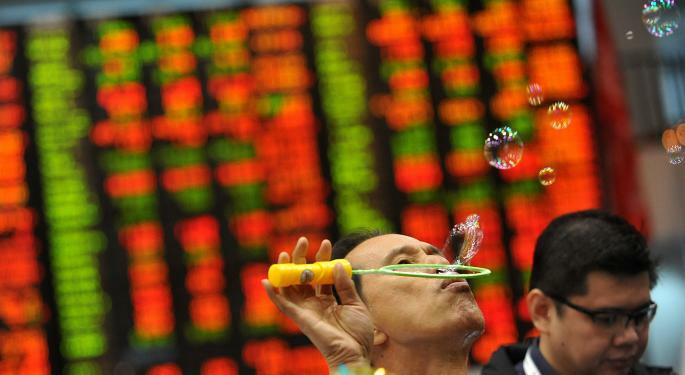 Shares lost 0.72 percent, closing at $85.41. Analysts at Credit Suisse downgraded Dillard's (NYSE: DDS) to Neutral from Outperform with a $93 price target. Shares lost 1.27 percent, closing at $90.11. Analysts at Barclays initiated coverage of Express Scripts (NASDAQ: ESRX) with a price target of $85. Shares gained 1.98 percent, closing at $77.16. Analysts at Stifel Nicolaous maintained a Buy rating on Facebook (NASDAQ: FB) with a price target raised to $82 from a previous $72. Shares hit new 52 week highs of $71.97 before closing at $71.57, up 4.03 percent. Analysts at JMP Securities maintained a Market Outperform rating of Illumina (NASDAQ: ILMN) with a price target raised to $215 from a previous $167. Shares lost 0.33 percent, closing at $178.24. Analysts at MKM Partners upgraded Pandora (NYSE: P) to Neutral from Sell with a price target raised to $39 from a previous $10. Shares hit new 52 week highs of $40.44 before closing the day at $39.43, up 0.66 percent. Analysts at B. Riley & Co downgraded Staples (NASDAQ: SPLS) to Neutral from Buy with a price target lowered to $15 from a previous $18. Shares lost 0.45 percent, closing at $13.41. According to MacauBusiness, Las Vegas Sands (NYSE: LVS) ousted rival SJM Holdings to become Macau's largest casino in terms of revenue. Sands held a 25 percent market share, topping the 22 percent SJM Holdings held and 21 percent for Galaxy Entertainment. Shares of Las Vegas Sands hit new 52 week highs of $88.04 before closing the day at $87.21, up 0.12 percent. Target's (NYSE: TGT) Chief Information Officer Beth Jacob has resigned following a massive data breach the company suffered in late 2013. Shares lost 1.17 percent, closing at $60.61. According to Marbridge Daily, Qihoo 360 (NYSE: QIHU) announced that the company's mobile app content has been re-instated and returned to Apple's China App store. Apple recently removed all of Qihoo's apps from its App Store in January 2013 after Apple concluded that the apps violate some of the App Store rules. Shares gained 0.51 percent, closing at $116.69. Honeywell (NYSE: HON) is targeting its annual revenue to rise from $39.1 billion last year to $50 billion by 2018. The company plans to spend $10 billion on acquisitions and guided its earnings to grow at a double-digit pace in percentage terms over the next few years. Shares hit new 52 week highs of $95.85 before closing the day at $94.68, up 0.08 percent. Dunkin' Brands (NASDAQ: DNKN) extended the contract of its CEO Nigel Travis until 2018. Shares lost 1.53 percent, closing at $51.40. Biogen (NASDAQ: BIIB) has purchased the rights to two experimental treatments for Alzheimers from Japan's Eisai. Biogen will pay an un-disclosed upfront payment and a fixed amount of development and milestones as the drugs reach approval and commercialization. Shares of Biogen lost 1.23 percent, closing at $338.94. Intel's (NASDAQ: INTC) head of marketing, Deborah Conrad will be leaving the company in April after a 27-year stint in various roles. Shares lost 0.49 percent, closing at $24.49. TransCanada (NYSE: TRP) has begun a process to receive regulatory approval for its proposed $12 billion Energy East oil pipeline that would connect 1.1 million barrels per day of crude from western Canada to refineries and terminals in Quebec and New Brunswick. Shares gained 1.31 percent, closing at $44.95. Carl Icahn's activist war against eBay (NASDAQ: EBAY) continues. Icahn said in an interview with CNBC this morning that eBay is the worst run company he has ever seen. Shares lost 0.36 percent, closing at $58.85. General Motors (NYSE: GM) reported that its sales in China rose by 20 percent to total 215,070 units. Shares gained 1.60 percent, closing at $37.52. Bloomberg Businessweek reported that former Microsoft (NASDAQ: MSFT) CEO Steve Ballmer “shouted at a meeting” that if the company's board didn't approve his plans to acquire Nokia's phone and mapping division he will no longer be CEO. Shares lost 0.78 percent, closing at $38.11. Speaking at the Geneva Motor Show, Tesla Motors (NASDAQ: TSLA) expects its sales in Europe and Asia to double in 2014 from 2013's levels. Separately, Tesla's CEO Elon Musk is speaking to the Senate Committee on Appropriations discussing the potential of Musk's other company SpaceX launching military satellites. While SpaceX has no connection to Tesla, the success (or failure) of SpaceX could reflect accordingly on Tesla. 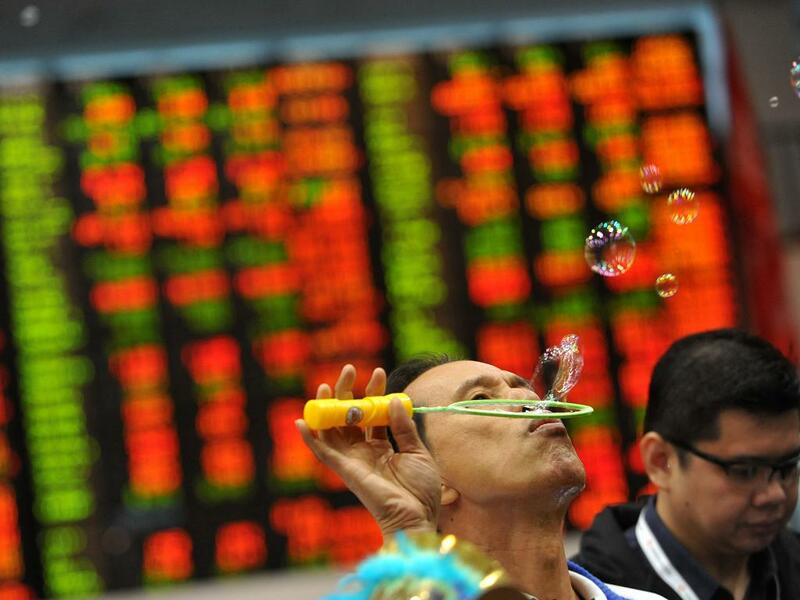 Shares lost 2.28 percent, closing at $252.56. According to The Wall Street Journal, a bid by private equity firm Cereberus to buy Safeway (NYSE: SWY) is far from a done-deal given Kroger's (NYSE: KR) interest in the all or part of the company. Shares of Safeway hit new 52 week highs of $39.90 before closing the day at $39.48, up 2.15 percent. Kroger gained 3.04 percent, closing at $43.68. Shares of Gogo (NASDAQ: GOGO) surged in today's trading session ahead of the company's presentation at a Morgan Stanley conference tonight. The company's CEO Michal Small and CFO Norman Smagley will be speaking, and the conference can be viewed here beginning at 5:30 pm ET. Shares gained 12.35 percent, closing at $24.38. Yesterday, Xoma (NASDAQ: XOMA) said that it would not proceed with a late-stage study of its gevokizumab drug. Data from two mid-stage studies showed that the drug failed to provide patients any benefit. The drug is used as a treatment for a form of arthritis of the hand. Shares lost 27.75 percent, closing at $6.82. This morning, Canadian Solar (NASDAQ: CSIQ) reported its fourth quarter results. The company announced an EPS $0.39 which may not be comparable to the consensus estimate of $0.52. Revenue of $519.5 million missed the consensus estimate of $535.88 million. Net income for the quarter fell to $20.9 million, compared to a net income of $27.7 million in the previous quarter but rose from a net loss of $105 million in the fourth quarter of 2012. Canadian Solar noted that it had built and connected a 30 MW DC solar power plant in the western part of China and a 10MW DC project in the Jiangsu Province. The company believes that demand for its products will continue to see “strong demand” but the company sees its total first quarter venue to be $415 million to $430 million, below the consensus estimate of $545.80 million. Shares lost 10.67 percent, closing at $39.01. This morning, Hovnanian Enterprises (NYSE: HOV) reported its first quarter results. The company announced an EPS of -$0.17, missing the consensus estimate of -$0.05. Revenue of $364 million missed the consensus estimate of $401.52 million. Net loss for the quarter rose to $24.5 million, compared with a net loss of $11.3 million in the same quarter last year. Net contracts during the quarter fell 10.6 percent from a year ago to 1,202. Naturally, the company blamed its poor performance on weather and said “Both sales and deliveries were impacted by poor weather conditions and deliveries were further impacted by shortages in labor and certain materials in some markets that have extended cycle times ... We have taken steps to spur additional sales in the spring selling season, including the launch of Big Deal Days, a national sales campaign during the month of March." Shares lost 10.46 percent, closing at $5.44. This morning, PetSmart (NASDAQ: PETM) reported its fourth quarter results. The company announced an EPS of $1.28, beating the consensus estimate of $1.21. Revenue of $1.81 billion missed the consensus estimate of $1.83 billion. Gross profit for the quarter fell to $565.99 million from $593.44 million in the same quarter last year, partially due to the current quarter consisting of 13 weeks versus last year's quarter which included 14 weeks. Gross margin improved 40 bps to 31.4 percent in the quarter and comparable store sales grew 1.2 percent in the quarter. PetSmart issued guidance and sees its full year 2014 EPS to be $4.42 to $4.54 versus a consensus estimate of $4.45. Net sales is expected to grow four percent to six percent in the quarter on comp sales growth of two percent to four percent. Shares lost 1.48 percent, closing at $66.66. This morning, Navistar (NYSE: NAV) reported its first quarter results. The company announced an EPS of -$3.05 which may not compare to the consensus estimate of -$1.77. Revenue of $2.2 billion missed the consensus estimate of $2.61 billion. Net loss for the quarter rose to $248 million from a net loss of $123 million in the same quarter last year. The company noted that its first quarter's poor performance is due to lower military sales and a $67 million in reduced structural costs. An unfavorable impact of $21 million due to foreign exchange fluctuations also hurt the bottom line. Shares lost 4.29 percent, closing at $36.17. "I'm not a great board member, I'm sort of an obsessive guy, I work all the time, so I haven't gone to many meetings. I believe my time is better spent actually than just going to meetings where I really have to admit I don't understand a lot of the things they do over there." - Carl Icahn, speaking to CNBC today.